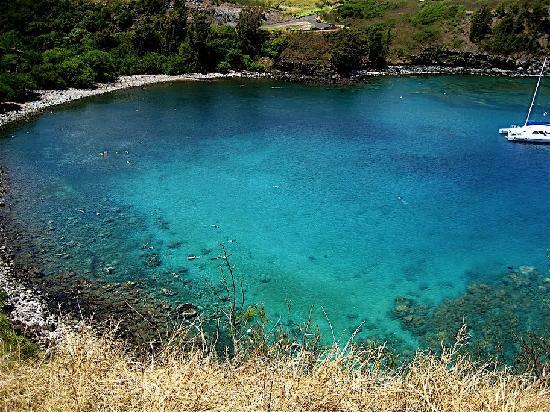 Honolua Bay is one of Hawaii's most beautiful ocean locations. 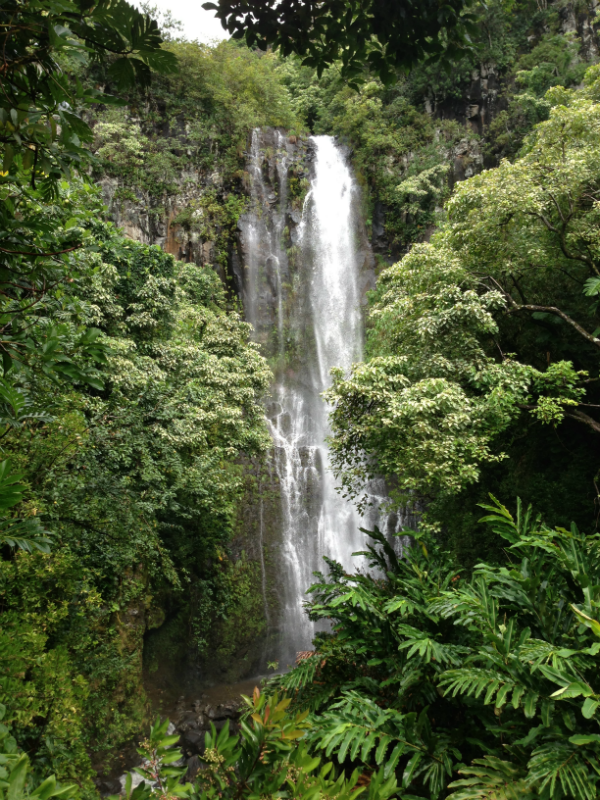 It is located on the north-western tip of Maui, roughly a 20 minute drive north of Lahaina. 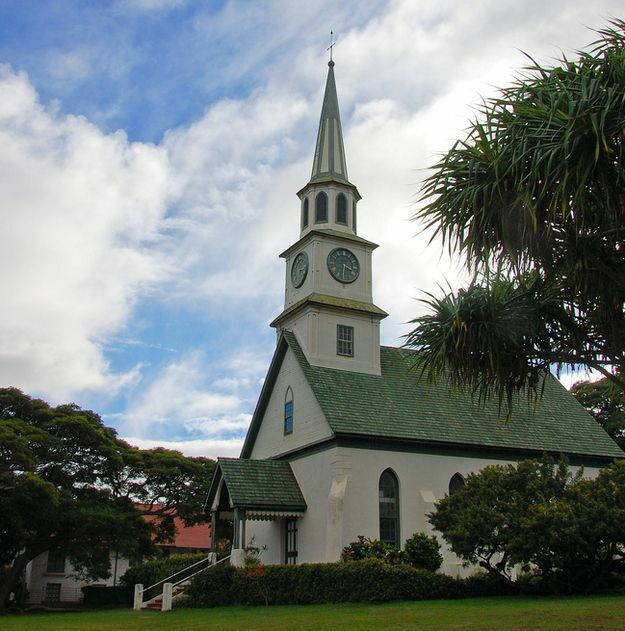 The bay is part of the 45-acre Honolua-Mokule'ia Marine Conservation District, making it a popular destination among snorkelers and scuba divers for its rich coral and marine life. Bay is surrounded by high rocky cliffs on both sides that protect it from strong wind and keep the water calm. Part of the beach is lined with rocks and boulders while the other side has dark grey powdery sand. Honolua Bay is a popular beach destination all year round. During summer, it is one of the very best snorkeling and scuba diving spots on Maui as the ocean condition is usually calm. Apart from a diverse array of corals, the bay is host to a myriad of marine life including species that are rarely seen in other diving sites. Some of the species spotted at Honolua Bay are butterfly fish, parrot fish, damsel fish, surgeon fish, moorish idol, tang, wrasse, box fish, flag tails, cardinal fish, squirrel fish, soldier fish, big eyes, chub, trigger fish, the former Hawaii State Fish Humuhumunukunukuapuaa, goat fish, snapper, peacock bass, hawk fish, jacks, mullet, turtles, eels, and invertebrates. The best access to the water is via the rocky shoreline on the north side of the bay. Most of the coral is concentrated on this area and so are the marine creatures. In winter months, the bay offers some of Hawaii's most exciting surfing opportunities. The waves here are considered some of the best, if not the best, in all of Hawaii! In fact, the bay is a popular venue for both local and international surfing competitions. Even non-surfers take the long drive just to see the world's best surfers tackle the perfectly-formed waves. The surrounding high cliffs serves as a natural amphitheater, providing spectacular vantage points to spectators. If you plan to surf during winter season, be reminded that wave conditions can be extremely dangerous so heed all posted signs and use caution when entering the waters. For beginners, it is best to leave Honolua bay to the experts. There is no life guard, bathrooms, or showers at Honolua Bay. There are also no stores nearby so bring your own food and refreshments. Nevertheless, it is still worth seeing whatever the season.